Everything gets better with coffee! Going to work, working, not working, reading a book, walking a dog, drawing. 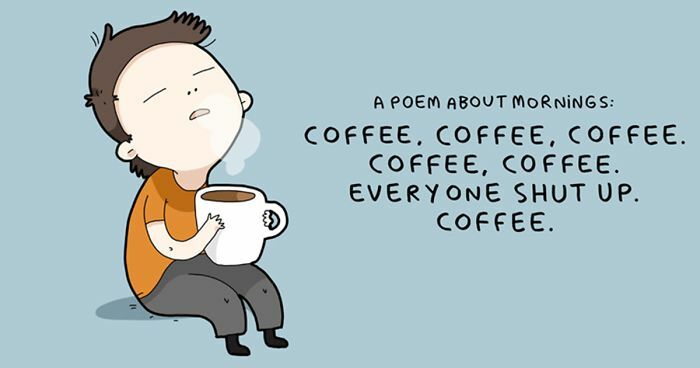 Coffee even turns doing nothing into pure poetry! It's the first thing you think about in the morning. And it is so versatile - there are innumerable varieties of flavors and ways to make it. Coffee is all about comfort and coziness, and it brings people together! Coffee is trendy! Yes - think of countless women posing with cups of fresh coffee on Instagram. Oh, and not to mention that the black brew has been an inspiration for cute quotes since the dawn of times. And moreover, there is nothing like a cup of coffee to warm up your soul and start your day right! It is indeed a cup of Heaven! 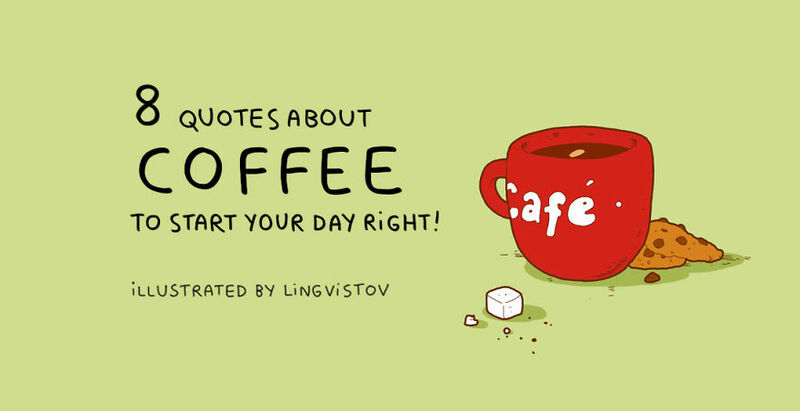 So Lingvistov, the coffee lover illustrators known for their adorably cute drawings, has put together some great coffee quotes. Scroll down for the cute cartoons, but first - coffee! That's me in the morning. #2 Maybe Coffee Is Addicted To Me? Never have that problem... it's always coffee!! who was it that said " If I was married to you I would poison your coffee and the other replied If I was married to you ! I would drink it! I once used redbull instead of water to make my coffee, and I could hear colors and see sounds afterwards. Coffee takes me back to the times my Mom and Grandma used to sit around the kitchen table, drink gallons of coffee and laugh till they cried or peed their pants. Good times.